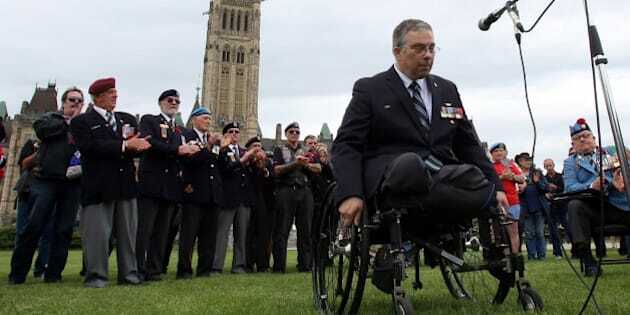 HALIFAX - A Federal Court judge has approved a $38.6-million settlement for Canadian military veterans with disabilities who won a lawsuit with Ottawa last year, lawyers for the veterans said Thursday. The lawsuit started with 8,000 people, but the $38.6-million settlement includes another 6,000 veterans who were not subject to a wrongful offset of their benefits, but whose cost of living allowances were also miscalculated. Lawyers for the plaintiffs have said the cost of living issue wasn't included as part of the original settlement because there wasn't enough time and the two sides agreed to deal with it at a later date. Manuge has said the issue has been resolved fairly and reasonably. Lawyers say the payments begin in January 2015 and will be paid out over a year.